As well-intentioned as people might be when they say they’d be willing to break a window to rescue a dog in a hot car, it’s best not to. Here’s why. There are actually very few places in North America where there are Good Samaritan laws to protect those who break car windows if a dog is believed to be in distress. While a couple of places allow people to break a window (after taking certain steps), that is not the case in B.C. People who break a window in this province can be liable for the financial costs associated with doing it. Only RCMP, local police and BC SPCA special constables have the authority to enter a vehicle to help a pet in distress. “What happens if [people] break the window, and they don’t do it properly? They could hurt themselves, they could hurt the animal,” says BC SPCA special constable Rhonda Ott. Shattered glass is not safe to be around, and breaking a window could cut the dog – or you – in the process. Just because a dog isn’t responding to people, doesn’t necessarily mean it is in distress. If the dog is anxious and not properly restrained, they may jump from the open window or door. Aside from ending up with cuts from any glass shards strewn about, they could end up bolting from the scene. While one would hope the animal is registered with the BC Pet Registry to make locating the pup easier, that may not be so, making the situation more stressful. 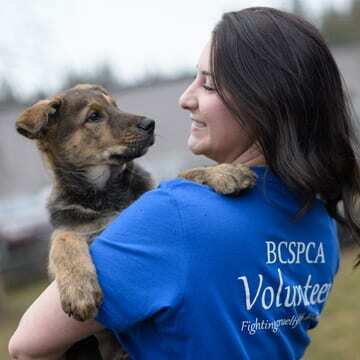 The BC SPCA’s animal cruelty hotline is open seven days a week, Monday to Friday from 9 a.m. to 5:30 p.m., and Saturdays and Sundays between 9 a.m. and 5 p.m. Emergencies outside of those hours should be reported to your local police department or RCMP. It’s important to give a good description to the call taker of what the dog is doing. Is the dog’s panting exaggerated? Are they convulsing or vomiting? Have they collapsed? Give as much detail in your call. Make a note of the licence plate, colour, make and model of the vehicle. You can also go into nearby businesses to see if they can page for the owner to return to their car immediately. A bottle of water, a bowl, a towel and a small fan are just some of the tools you can use to help a dog who has spent time in a hot vehicle. You can keep these items in the back of your car in case you come across an animal who needs help cooling down. If the owner of the vehicle has left the window open, you may be able to give them some water through the opening. Otherwise, once the animal has been removed legally and safely from the vehicle, you can fill the bowl with water and allow them to drink. The BC SPCA has posters available for both pet-friendly businesses (PDF), as well as for areas where people tend to park their vehicles (PDF). It also doesn’t hurt to discuss the topic with the people in your life, as some don’t realize how quickly a dog can warm up in a hot car. If you know of someone in your neighbourhood who gets worried about leaving their dog at home, you can offer to watch their dog for them if it isn’t too much trouble. If you have a pet, they can return the favour for you another day – plus you’ll be able to enjoy some adorable company! If you’re unable to watch their pet, you can also offer to look in on them to help ease their guardian’s worries and ensure they are okay.